Come spend a fun day learning to turn little bits of fabric into detailed art work, worthy of framing! No previous art training or art experience required. 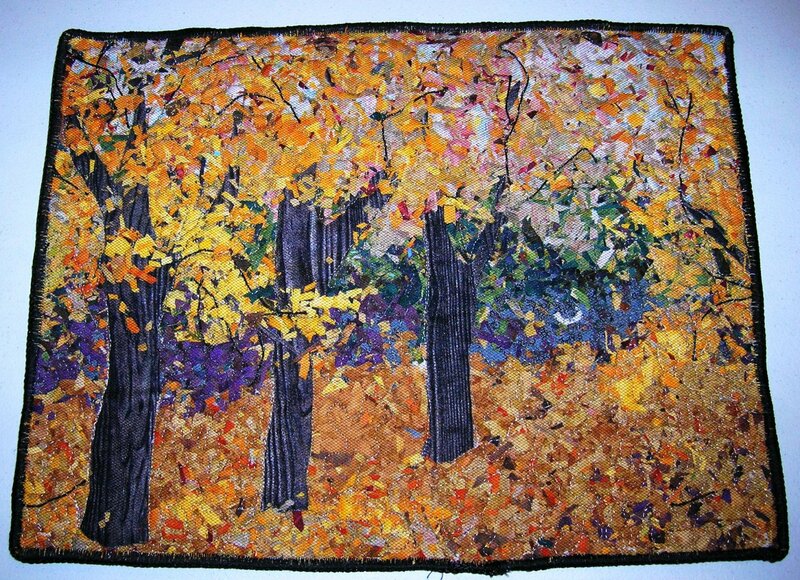 You'll choose a photo as inspiration and guide and receive an assortment of batiks and prints to create your art quilt. This is not a beginner class. Before taking this class, you must know how to install your free motion/darning foot; know how to drop the feed dogs; be comfortable adjusting thread tension; and have at least a couple hours free motion quilting practice if you are new to the technique. Please arrive 10-15 minutes prior to start time. Skill Details: Intermediate and above. Materials Included: Batik Kit includes tulle and fabrics coordinated for your inspiration photo. Does not include batting/backing/thread. Requirements: Supply list and instructions for choosing an inspiration photo will be forwarded to you once you have reserved your seat. Inspiration photo must be approved by instructor at least one week prior to day of class.